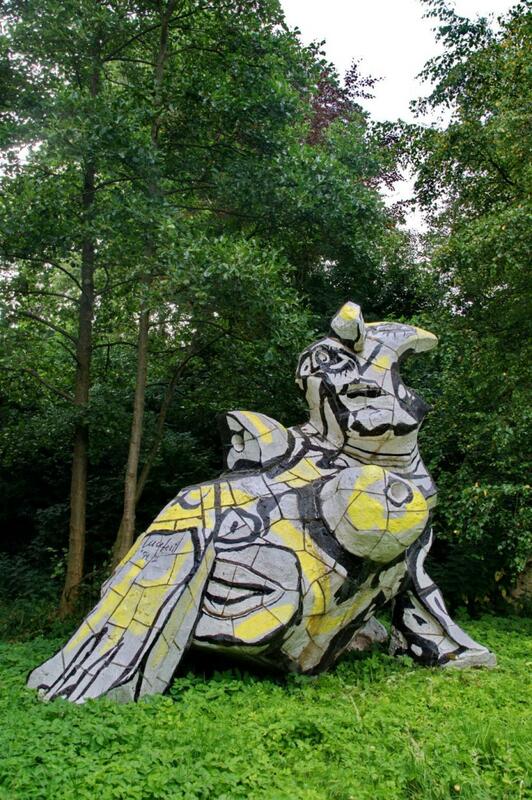 Come wander through our Sculpture Forest and discover the treasures of the Kranenburgh collection in the open air. Works by Lucebert, Chiel Kuijl, Folkert de Jong and many others are hidden amongst the greenery. In addition to the changing exhibitions inside the museum, about thirty sculptures are permanently on show in the surrounding garden. The works in this open-air exhibition – about the size of two soccer fields – are not neatly hung on the wall. Walking though the sculpture forest is a bit like a discovery tour. An ingenious artwork by Chiel Kuijl, made of ropes hung between the trees, is a fun experience for visitors of all ages. Climb up the stairs, high among the trees, and sway in the swings. 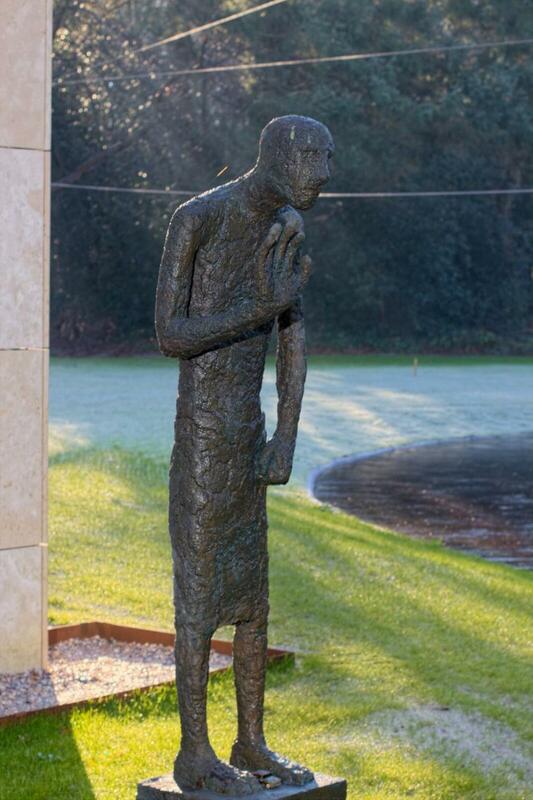 Alongside the winding paths, abstract and figurative works have been surprisingly positioned; such as the tentative human figures by Pauline Eecen and the geometrical concrete columns by Henk Zweerus. 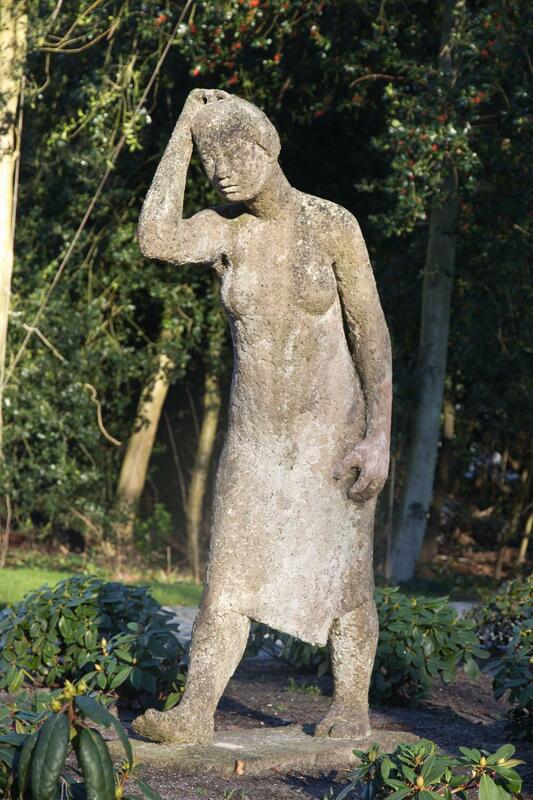 All the sculptures are by artists with a relationship with Bergen or with nature. Sometimes it is quite a search to find them all, but fortunately it is possible to recuperate from the garden stroll on the terrace of the Museum Café.